An engineer sets up a smartphone for testing at the Huawei Technologies Co. campus in the Longgang district of Shenzhen, China. Canadian universities, governments and phone companies are helping Huawei Technologies develop cutting-edge, 5G mobile technology that could make the surging Chinese corporate giant a dominant force when the wireless communications industry makes its next great leap forward. A Globe and Mail investigation reveals Huawei has established a vast network of relationships with leading research-heavy universities in Canada to create a steady pipeline of intellectual property that the company is using to underpin its market position in 5G. 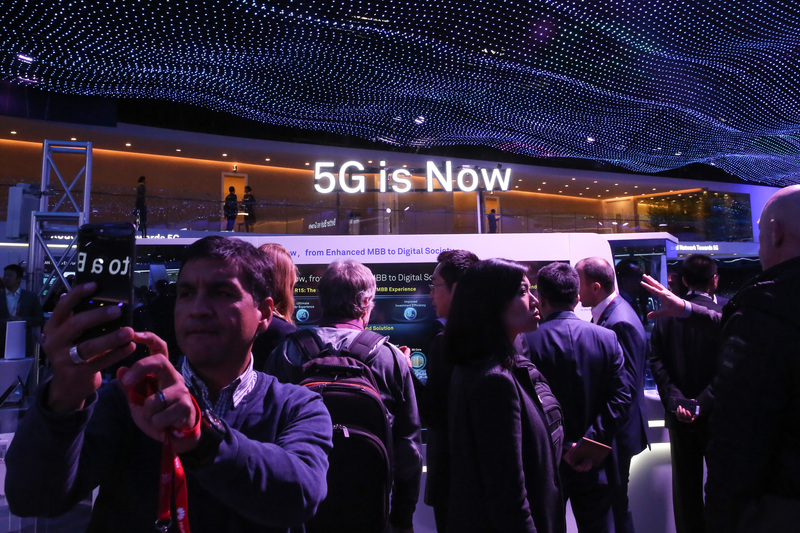 In fact, the company has spent about a quarter of its $600-million research and development budget for 5G here – and almost nothing in the United States, where it is viewed as a security concern. That has critics in Canada alarmed on two fronts. Intellectual property experts say China stands to reap far greater economic rewards than Canada in 5G, despite the fact much of the breakthrough research is being done here. And national security experts are troubled that Canadian institutions are willingly advancing the economic and geopolitical interests of a firm regarded as a corporate arm of the Chinese state – and considered one of the world’s top cyberintelligence threats – even as Ottawa recently blocked the sale of Canadian construction giant Aecon Group Ltd. to a Chinese state-owned firm, citing national security concerns. That’s not just a problem with Huawei, critics of its efforts here say, but part of a chronic condition in Canada, a country known more for its inventors than the entrepreneurs who made money turning scientific breakthroughs into wealth and prosperity. Since arriving in Canada a decade ago, Huawei Technologies has committed about $50-million to 13 leading Canadian universities, including the University of Waterloo, the University of Toronto, McGill University and the University of British Columbia, to fund the development of the next generation of ultra-fast wireless technology, which Huawei has used as the basis for hundreds of patent filings. Its funding is expected to grow to about $18-million this year alone from about half that amount in 2015. Huawei has worked with almost a hundred professors in Canada (and hundreds of their graduate students), who have additionally obtained millions of dollars in government grants from the Natural Sciences and Engineering Research Council (NSERC) for their Huawei-related research. Filings with the U.S. Patent and Trademark Office reviewed by The Globe and Mail show that in 40 cases, the academics – whose work is largely underwritten by taxpayers – have assigned all intellectual property rights to the company. In addition, Huawei licenses intellectual property from Canadian university researchers, often giving the company exclusive rights to their publicly funded research. Huawei also appeared as a co-author with a Canadian university on 350 peer-reviewed papers between 2010 and 2018. Huawei’s Canadian research is part of an all-out drive by the Chinese technology giant to become a world leader in 5G. The technology is expected to bring near-broadband speeds to smartphones and improve the efficacy of breakthrough technologies such as driverless cars and “internet of things” sensor technology to support “smart cities,” factories and even remote surgery. Infrastructure suppliers stand to reap tens of billions of dollars in annual revenues with 5G by the mid-2020s, forecasters say. As one of the world’s largest companies and top patent filers in the past five years, and the third-largest supplier of mobile phones, Huawei is keen to lead one of the most important technology races of the coming decade and further assert China’s status as an economic superpower. Much of that effort has run through Canada. Ottawa is home to one of Huawei’s four 5G research institutes, along with facilities in England, Germany and China. Its Canadian employee ranks include two of Nortel’s most prolific inventors: Wen Tong, who now leads its global 5G research, and Peiying Zhu, now senior director of its wireless technology lab; both are Chinese nationals who immigrated to Canada after attending Concordia University in Montreal three decades ago. Senior patent counsel Robert Guay previously led IP filing efforts for two of Canada’s top R&D spenders, BlackBerry and Bombardier. They are at the core of a Canadian R&D operation that now boasts 566 research employees at offices across the country, up from 70 in 2010. Huawei has more than tripled annual R&D spending here since 2014 and is now one of the 25 largest R&D spenders in Canada, according to market research firm Re$earch Infosource. The company expects to spend more than $165-million here this year. As with many foreign companies operating in Canada, Huawei has benefited from generous taxpayer funding. The Ontario government kicked in $22.5-million in grants to help it expand its operations in the province, including its new headquarters in Markham, in addition to $740,000 from the Ontario Research Fund to support a five-year Carleton University research effort that has generated 17 inventions and 13 patents so far. (Premier Kathleen Wynne visited the company’s Shenzhen headquarters last fall, where she lauded Huawei for creating “jobs and opportunities” in her province.) Huawei also receives a 15-per-cent tax credit for R&D expenditures in Canada under the federal government’s Scientific Research and Experimental Development Program, plus provincial tax credits from Ontario, Quebec and B.C. For Canada’s telecom carriers, Huawei represents a new supplier and customer option, and they are offering the company’s new smartphone, the P20. And Canadian carriers have been able to work with the company’s cutting-edge technology: Some of Huawei’s first field tests with 5G technology took place last year in the Vancouver area in partnership with Telus Corp.
By comparison, in the United States – Canada’s most important ally and defence partner – Huawei has conducted virtually no patented research at universities in recent years, and its warm reception here is at odds with the view of U.S. intelligence agencies and former directors of Canadian spy agencies, who have issued stern warnings that the Chinese smartphone maker poses a national security risk. Xi Jinping, China's president, left, pauses as he is shown around the London offices of Huawei Technologies by Ren Zhengfei, the company’s founder and president, in 2015. Huawei, which is privately owned under a complex shareholding structure, was founded in 1984 by Ren Zhengfei, a former engineer with the People’s Liberation Army who sat on the 12th National Congress of the Chinese Communist Party. Years ago, the company faced allegations that trade secrets stolen from Nortel and Cisco ended up in its hands (Cisco sued Huawei in 2003 for patent infringement, settling a year later). Today, many in the international intelligence community consider Huawei to be closely linked to a Chinese government seen as one of the leading state sponsors of cyberattacks and corporate espionage. “It is widely believed that the Chinese government retains the ability and the authority to weaponize Huawei’s assets, access and market position at the time and place of its choosing,” according to an April, 2018, report by RWR Advisory Services, a Washington-based security consultancy headed by Roger Robinson, who served on the U.S. National Security Council and chaired the congressional U.S.-China Economic and Security Review Commission. The Chinese government considers telecommunications networks a crucial feature of the “Belt and Road Initiative” that Beijing has launched to cultivate more global influence through greater economic ties to Africa, Asia and Europe, according to the Sydney-based Lowy Institute. Huawei has benefited from state contracts, subsidized financing from state-owned banks and direct government funding. It is one of a few major Chinese players that will help Beijing line this 21st-century Silk Road with digital infrastructure, according to the Nikkei Asian Review. In other words, Huawei, which posted US$93-billion in revenue last year and is larger than telecom equipment rivals Nokia and Ericsson, is nothing less than Beijing’s corporate weapon of mass disruption, asserting China’s supremacy as it aims to challenge the U.S. for the title of world’s largest economy. The U.S. government has pressured carriers such as Verizon and AT&T not to sell Huawei smartphones, and this year U.S. lawmakers tabled a bill to ban the use of Huawei and ZTE phones by government agencies and pushed for companies to cut their ties to the company. In 2012, Australia blocked Huawei from bidding on its national broadband network over cybersecurity concerns. In Canada, Ward Elcock, former director of the Canadian Security Intelligence Service, and John Adams, the former head of the Communications Security Establishment, have warned that Huawei products and 5G technology could provide China with the capacity to conduct remote spying and maliciously modify or steal information – or even shut down systems. Richard Fadden, the former director of CSIS who also served as a national security adviser to prime ministers Stephen Harper and Justin Trudeau, agrees that Canada and its allies have legitimate reasons to consider Huawei to be a cybersecurity threat, pointing to concerns the company has used its equipment and applications “to provide back doors” to sensitive information. Even if the company isn’t creating back doors, however, leading Canadian IP experts worry about the way Canada has welcomed Huawei through the front door, allowing it to tie up Canadian researchers to develop valuable patented technology it will own. By extensively tapping Canadian brainpower, they worry the company will develop key commercial advantages for itself and China, creating far more value back home than it leaves behind in Canada. Huawei is adamant it has done nothing wrong. “There have never been any facts based on any argument that has been put forward by the U.S.,” Mr. Bradley said. Since Mr. Bradley joined the company seven years ago, Huawei has forged an increasingly public profile here. The company supports the Jays Care Foundation, the Sasktel Indigenous Youth Awards of Excellence and Actua, a national charity that teaches young people to code. The company also sponsors the Ottawa Senators, the Toronto International Film Festival and program segments on Sportsnet’s Hockey Central. Huawei has even hosted almost 60 engineering students from Canada for work-study getaways to China through its global “Seeds for the Future” program. Part of its strategy in Canada has been to avoid the controversy already hanging over it when Mr. Bradley arrived (the company reportedly abandoned an attempt to buy Nortel’s ethernet division in the late 2000s after learning U.S. telco giants AT&T and Verizon would no longer buy its equipment if a Chinese company took over). It regularly informs the Canadian government of its actions here and avoids opportunities that could raise any national security concerns, Mr. Bradley said. For example, the company avoided bidding for a government e-mail contract years ago because it would never “within a million years” think it would win. “We have enough dialogue with the Canadian government to know that’s probably not a place where we’re going to be successful on a bid,” Mr. Bradley said. Huawei, the federal government and telecom carriers have likewise reached an unwritten understanding that Chinese vendors are not welcome to bid on the router and switching equipment that make up the backbone of Canadian telecommunications networks, government and industry sources say. Wind Mobile initially used Huawei technology when it built its first network but later replaced the company’s gear with Nokia equipment, aware that federal officials would be pleased. Mr. Adams, the former head of the Communications Security Establishment, which is responsible for signals intelligence, says Ottawa hasn’t been nearly as aggressive with Huawei as the United States because it wanted to encourage lower prices at Canada’s three main telecom providers, and Huawei offers lower-cost equipment than Nokia and Ericsson. Canadian carriers use Huawei equipment in their radio networks and sell its smartphones – devices Mr. Elcock says he would not use. Normalizing Huawei’s reputation as a good corporate citizen has several purposes. It’s a chance for Canada to deepen its economic ties to China and lay the groundwork for a trade deal through engagement with China’s first global corporate champion. It also offers Huawei “the opportunity to engage with a G7 government … [that] would be extremely helpful at a time when Huawei was beginning to emerge on the global stage,” Mr. Bradley said. The charm offensive has extended to the company’s R&D efforts. Arriving in the wake of Nortel’s implosion, Huawei’s R&D operation in the Kanata suburb of Ottawa offered a welcoming home for local telecom researchers to do groundbreaking work without leaving for other opportunities. Sean Yang, president of Huawei Canada, leads Ottawa Mayor Jim Watson, left, on a site tour of Huawei’s global R&D facility in Shanghai. Huawei researchers in Ottawa, for example, have developed advanced antenna technology for 5G known as Massive MiMo that will be critical for carrying signals on a faster and denser network. The researchers started from a concept early this decade and have taken the technology to near-commercial viability, Mr. Bradley said. Universities were eager to partner with Huawei as it offered much-needed funding to keep their academics busy. Dr. Halim Yanikomeroglu, a systems and computer engineering professor at Carleton, led a $1-million 5G research project funded by Huawei and two levels of government that engaged almost 400 students, including three who have gone on to become professors in Canada and many more who have stayed here to work for companies developing 5G technology, including Ericsson, which also has a sizeable engineering presence in Kanata. University of Waterloo academics, meanwhile, are working on Huawei-funded research in data security. Polytechnique Montreal electrical engineering professor Ke Wu, who was named the Huawei Industry Research chair in future wireless technologies last year, is among those academics who have transferred IP rights to the company, for his work on antenna technology. Under a 2016 deal with U of T’s Edward S. Rogers faculty of electrical and computer engineering, Huawei will provide $3-million to fund research on a range of projects. For example, Anthony Chan Carusone is working with Huawei to explore systems to reduce cost and power consumption of digital interfaces between chips in close proximity. His work for the company is set to receive hundreds of thousands of dollars from NSERC (in total, NSERC has provided $3.6-million in funding to academics involved in research projects for Huawei since 2010 – far more than for research associated with rival equipment makers Cisco and Ciena). Huawei’s ownership of the IP generated by these academics, whose salaries are paid from government appropriations to universities (Prof. Yanikomeroglu earned almost $156,000 in salary according to Ontario’s 2017 sunshine list) ranges from project to project and school to school. For example, any patented work created by U of T academics remains their own unless Huawei licenses or buys it. But everything developed with Carleton belongs to Huawei – including any drone patents that might be filed. All told, Mr. Bradley said academics account for about 10 per cent of the company’s research work in Canada. But Mr. Hinton, the patent lawyer, said seven of the 10 most prolific inventors identified on Huawei Canada patent applications are Canadian academics, suggesting the company “has systematically relied on Canadian research institutions to develop their IP.” His review of their work connected to Huawei suggests they are focused on the transmission of digital information, wireless communication networks and data processing and data security – all key elements to building 5G technology. Huawei then routinely sends its research from Canada to China. The company has to get an export permit from the Department of Global Affairs for about 30 to 35 China-bound applications to transfer research home each year because it falls under items considered strategically important to Canada. The government has never rejected a permit application by Huawei, Mr. Bradley said. In a series of interviews with officials at Canadian universities, however, none seemed concerned about assertions that Huawei is a national security threat, nor that their research is helping a Chinese company gain a global economic advantage in 5G technology despite spinning off relatively marginal economic benefits here. 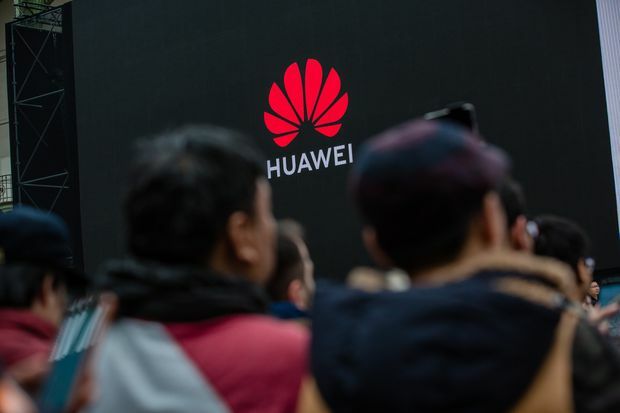 Mario Kasapi, associate director of sponsored research at UBC, said neither the federal government nor Canada’s spy agencies have ever raised the issue of Huawei being a national security risk. Rather, he and others lauded Huawei as a valuable partner in providing much-needed funding in return for owning any IP generated from their research. Without the funding, said UBC engineering professor Lutz Hans-Joachim Lampe, whose graduate students receive support from Huawei to help with his 5G research and other projects, the best and brightest students would go elsewhere. Huawei also gives him access to company research data that would not otherwise be available. “For me it gives this work some meaning if I see some of these ideas end up in products without me receiving royalties on that,” Prof. Lampe said. He said UBC has never raised any national security concerns about Huawei, but he acknowledges that it is an issue he has pondered. NSERC declined to say whether it harboured any concerns about funding such research. According to its intellectual property policy, the council does not support secret or classified research. Michael Geist, who teaches internet and e-commerce law at the University of Ottawa, said Huawei is able to take advantage of universities and academics, who need funding to conduct state-of-the-art research. Huawei Technologies Co. signage is displayed as attendees listen to a speech during the company's P20 Pro smartphone unveiling event in Paris, on March 27, 2018. Those arguments fit with the Huawei narrative. Keeping talent employed and busy in Canada means the country creates a “5G ecosystem.” That, Mr. Bradley argued, makes Canada a leader in the technology. Besides, he said, the lab work Huawei is doing here – including basic research – is the kind of work only a large foreign “anchor player” could afford to do in Canada, particularly since the dissolution of Nortel. “The reality at this stage of research is that there really isn’t anyone else except the major telecom vendors who can research and develop telecom equipment that moves to a commercial stage. A startup company is most likely not going to invent a new 5G antenna they can take to market,” as Huawei is doing through its Ottawa operation. Only foreign giants such as Ericsson, Huawei or Nokia, he said, will do this. But as Huawei gets richer, the benefits will spill over far more to China than Canada. Worse, Mr. Hinton said, Huawei’s success could block the emergence of Canadian-based players in the 5G space. Peter Cowan, a Victoria-based IP consultant, said Ottawa needs to look at the long-term implications of giving away tomorrow’s technology too early.